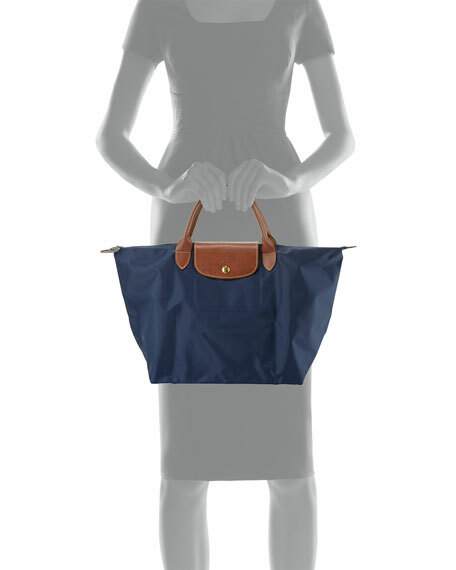 The Longchamp Le Pliage® is an ingenious packable design allows you to fit this Longchamp handbag into the smallest spaces. Water-repellant tech fabric makes it both travel-friendly and easy-to-clean. 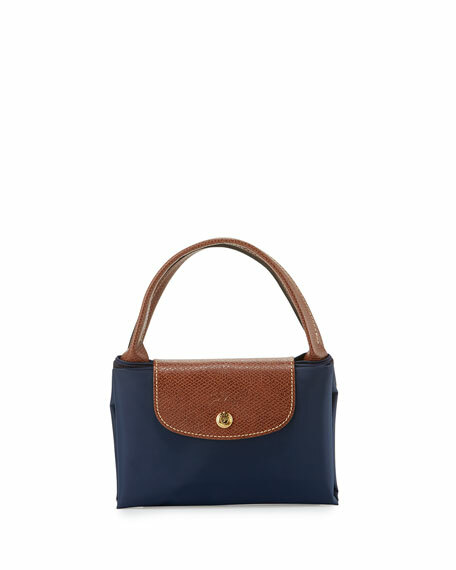 Durable nylon with embossed leather trim and golden hardware. 10"H x 11.3"W x 8"D.
Eric Javits tote bag in woven signature Squishee® material with leather trim. Exotic-embossed flat shoulder straps. 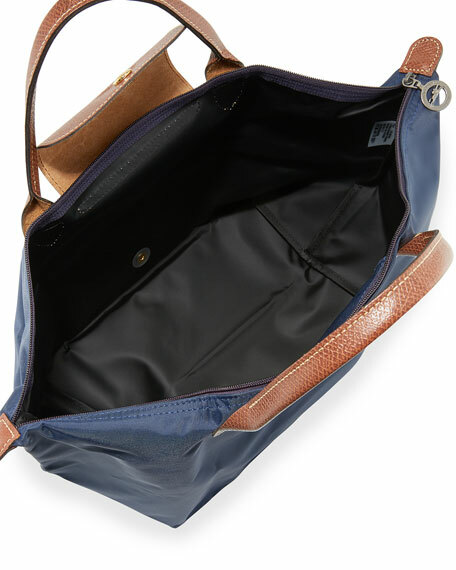 Recessed, extended zip top closure. Exterior, logo at center front. Interior, grosgrain lining; key clip. One zip and one slip pocket. 10"H x 12"W x 6"D. Imported.